Alaska Airlines today unveiled its first major brand change in 25 years to a crowd of about 1,800 employees. 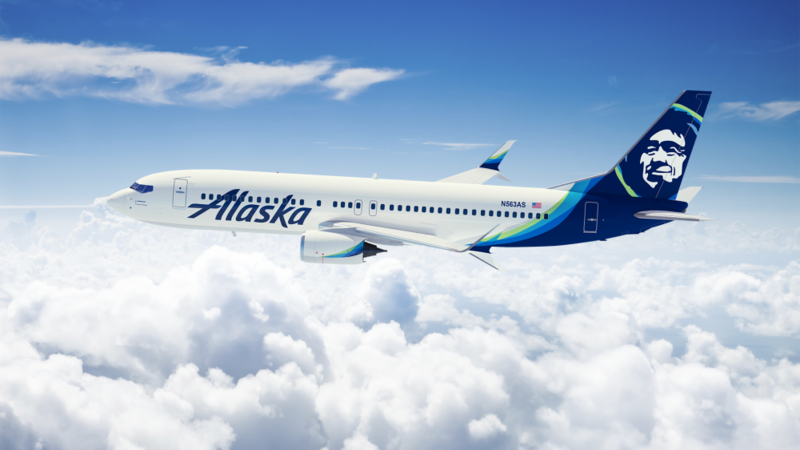 The refreshed brand was introduced on a newly painted Boeing 737-800 and soon will be featured throughout the airport experience, on all digital channels, in marketing materials and across Alaska’s entire fleet. In addition to the newly painted plane, starting tomorrow travelers at Seattle-Tacoma International Airport will see a more welcoming lobby and 41 newly branded gates. Customers can view the refreshed logo, plane and airport design online. alaskaair.com/welcome. The most visible changes to the brand are the wordmark, the Eskimo icon and a bold, energetic new color palette. On the blog: Learn more about Alaska’s brand evolution at http://bit.ly/1OIbQVi . The iconic Eskimo prominently featured on the tail of the plane has been Alaska’s brand beacon since 1972, welcoming customers and guiding employees with a warm, friendly face. His profile has been modernized and new vibrant colors added around his parka trim, which include Tropical Green and Breeze Blue, reminiscent of the tropical regions Alaska serves including Hawaii and Costa Rica. Atlas Blue, which is a cue to Alaska’s 14 global airline partners, is also featured throughout the design. On the blog: For the first time since adding the Eskimo to the tail, Alaska is telling his story. Learn more at http://bit.ly/1JUc1vK . To bring the refreshed brand to life, Alaska collaborated with Seattle-based Hornall Anderson, a global branding and design firm. A dedicated team specializing in strategy and design spent 12 months in partnership with Alaska to develop and apply the brand expression to all customer touchpoints. In the next month Alaska will take delivery of four Boeing 737s with the new paint theme and by the end of the year will have 40 planes in the new livery. All 111 airports Alaska and its regional partners serve will be rebranded, a project that is expected to be completed around the end of the year.